In 1972, there was a student named Misaki in Yomiyama Middle School’s 3-3 class. An honors student who was also good at sports, Misaki was very popular among his peers, and even the teachers were fond of him. 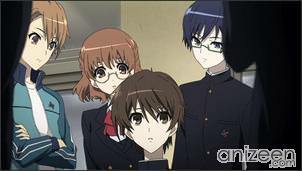 When he suddenly died from an unspecified accident, the shocked class decided to carry on as if Misaki was still alive. However, when class 3-3’s graduation photo was taken, they saw someone in the shot that shouldn’t have been there: Misaki. 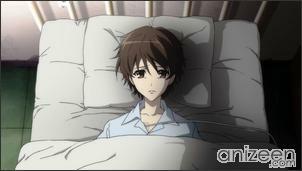 Now it is 1998, middle school student Kouichi Sakakibara lies in a hospital room due to a lung problem. Kouichi moved from Tokyo to his late mother’s hometown of Yomiyama, due to his father’s work in India. 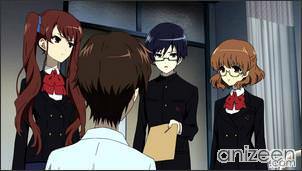 Classes have begun and Kouichi becomes a transfer student of Yomiyama Middle School’s 3-3 class. 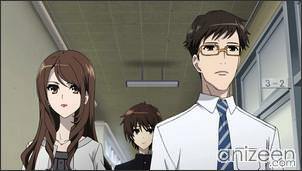 In the hospital, the class delegates Tomohiko Kazami, Izumi Akazawa and Yukari Sakuragi go to pay him a visit. 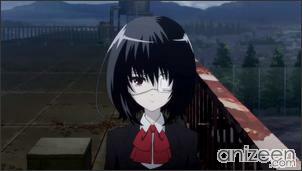 Before being discharged, Kouichi meets a young girl, Mei Misaki, with an eye patch in the hospital’s elevator. Kouichi finally attends school and tries to adapt, at start, he feels welcomed, but he can’t help to notice the strange behavior of his classmates. 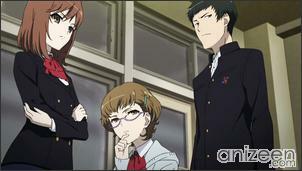 Kouichi realizes that Mei is in the same class, but her desk looks old and different from the rest. She is always alone, and nobody seems to react to her presence or try to talk to her. One day, Kouichi sees his class participating in the P.E. class. He thinks it’s strange that they aren’t sharing the time with another class. Yukari tells him that 3-3 class is different, but she can’t say anything else. 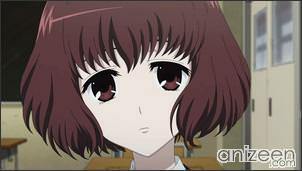 Kouichi asks Yukari about Mei, why is it that she is not part of the P.E. activities. 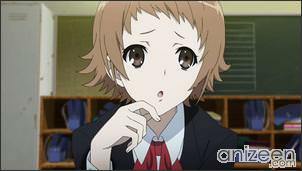 Yukari looks surprised and scared because Kouichi asked that. He sees Mei in the top of the school building and runs to meet her. 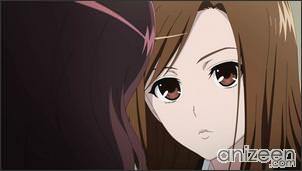 Kouichi asks Mei why is she alone, and if she recalls meeting him back in the hospital. 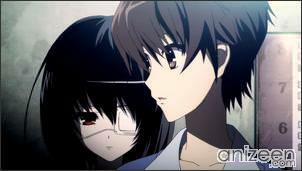 Mei tells him she doesn’t remember him and asks him if his class has mentioned something special to him. Kouichi will know from Mei that his name is associated to a cruel and irrational death that took place in Yomiyama’s, and that he mustn’t talk to her anymore. Kouichi Sakakibara is a 15 year-old boy who transferred to Yomiyama North Middle School into the 3-3 class, but because of a pneumothorax, he had to be hospitalized just before the start of classes. 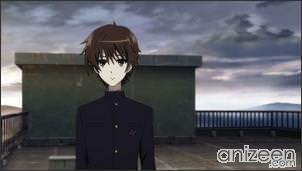 He is the only son in the Sakakibara family. His mother supposedly passed away 15 years ago after giving birth to him. Another (アナザー) is a Japanese fictional mystery horror novel by Yukito Ayatsuji, published on October 29, 2009 by Kadokawa Shoten. A manga adaptation by Hiro Kiyohara was serialized between the May 2010 and January 2012 in Kadokawa Shoten’s Young Ace. 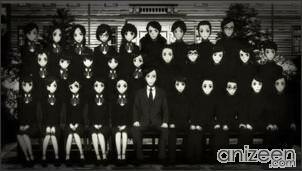 An anime adaptation produced by P.A. 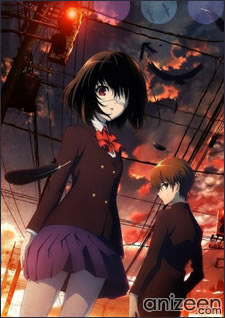 Works premiered on January 10, 2012.